American Eagle Outfitters is now casting for a new series. The series will be filmed in Pittsburgh, PA and casting directors are looking for local talent for the project. 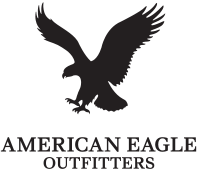 American Eagle is based in Pittsburgh and sells denim, polo’s, tees, swimwear and outerwear worldwide and online at their store AE.com. The brand has over 900 retail locations worldwide including shops in Asia and the Middle East. AE caters to the 15 to 25 year old demographic and also has a line of kids clothes called 77Kids. Men, women and children ages seven and up are encouraged to audition. (You should be available for production Monday-Friday, 7am – 5pm through March 2012.) The project is looking for fun, reliable and REAL actors, actresses and models for the new season of a series that is being filmed in Pittsburgh, with audiences worldwide! Casting Call On Friday, December 16, 2011 from 9:00am – 4:00pm. Reserve your audition slot by emailing us at casting@ae.com (please include contact information and a recent photo). They do not respond to everyone. Most casting directors will only contact you if they want to audition you. Will we get a email back and where is this located?